For nearly 100 years, South Shore caregivers have been growing their career with us. Unlike bigger for-profit agencies, our nurses and caregivers work close to home in 27 South Shore communities from Milton to Plymouth. Our patients are our family, friends, and neighbors. Our field staff has the flexibility to build their days around what is best for our patients and their families. We are driven by our non-profit mission of providing quality home health care, wellness, and public health services in the community. Are you looking for a job where you can get there by 9 and leave by 2? NVNA Works has that job and other great flexible work schedules too! We can work with you to find the right position for you. Just let us know if you want full time, part time, evenings, nights or weekends. What would you be doing as a Homemaker or Companion? Provide assistance in the home to ensure that the environment is safe and secure. Offer comfort and company, inside and outside the home. Please give us a call at 781-871-1040 We look forward to hearing from you! Learn about our great, flexible opportunities in your neighborhood! Johanna was happy working in her career as an HR professional. She liked helping people while working in her corporate office. Her two sons were getting older and her career was growing. Then, the 2008 financial crisis hit and Johanna found herself out of a job. Little did she know that this would lead her to a new career and passion for caregiving. With every intention of eventually going back to HR, Johanna took a CNA/Home Health Aide certification course at the Red Cross in Brockton. She started at NVNA WORKS in 2010. Johanna thought she would just become a caregiver until corporate jobs returned. “But, once I got into it and started being with people, helping them, I couldn’t imagine going back to HR. I love being a Home Health Aide. It is an awesome job,” said Johanna. Johanna found she had a particular love of working with dementia and Alzheimer’s clients. She enjoys connecting with families. She likes bringing a sense of humor to her work and loves to get her clients smiling, singing and dancing. “I want them to feel safe and be with somebody who takes care of them and loves them. They have so much anxiety and I like to let them feel like they are okay…just like we all want to feel that we are okay,” said Johanna. When asked about what advice Johanna would give someone considering work as a Home Health Aide she said it was really important to have a heart for it. While not always easy, she thinks it is a great choice for anyone who loves being with the elderly and needs flexibility in their schedule. She says that caregivers become close with those they serve and that NVNA WORKS find the right skill and personality match for each client and caregiver, so both are happy. 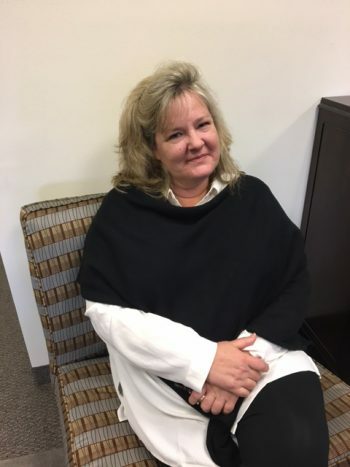 In the spirit of making it work for other NVNA WORKS caregivers, Johanna just took on a new role as staffing coordinator in the NVNA WORKS office in Norwell. She helps match clients who need support with caregivers who want to help. But, she still keeps some shifts caring for clients at their homes for herself. She may never be fully ready to get back to a full-time office life but we are sure glad she chose NVNA WORKS as her team.